Statement to the LSE this morning (Extract). On 9 October 2018, Comcast Bidco announced that its Mandatory Offer for Sky became wholly unconditional. Comcast Bidco is pleased to announce that as at 5.00 p.m. (London time) on 11 October 2018, it had received valid acceptances under the Mandatory Offer in respect of, and/or had otherwise acquired, 1,644,289,544 Sky Shares representing approximately 95.32% of the existing issued share capital of Sky. As Comcast Bidco has now received acceptances of the Mandatory Offer in respect of, and/or has otherwise acquired, not less than 90 per cent. of the Sky Shares to which the Mandatory Offer relates by nominal value and voting rights attaching to such shares, Comcast Bidco will shortly begin the implementation of the compulsory acquisition procedure to acquire the remaining Sky Shares under Chapter 3 of Part 28 of the Companies Act 2006 (the "Act"), as contemplated by the Mandatory Offer Document. Well they already put peacock on Euronews with no qualms about it. So never say never. I wouldnt think NowTv brand would be bought to the US as it has no brand value here as Xfinity does, they already offer a similar steaming service under their XfinityStreaming brand. And Roku, Chromecast, AppleTv already have the streaming device market clinched. So I highly doubt they would even try to launch a new product under a name that has zero brand value in North America. Unlike in Europe there has been some exposure to the NBC brand via popular programming and CNBC etc. Most cable companies in North America arent known for their devices (like Sky is known SkyPlus, SkyQ). Xfinity launched their X1 service a few years back, they may incorporate some Sky tech into their existing service under their Xfinity brand. Comcast has spent millions developing the Xfinity brand name and pushing the consumer away from using Comcast as the service provider name, so they are hardly going to introduce any other brand name such as NowTv. The fact is a big percentage of channel brands are US brands. Despite some failures that may have occurred, they continue flourish so I dont think US companies are as stupid as you might think. 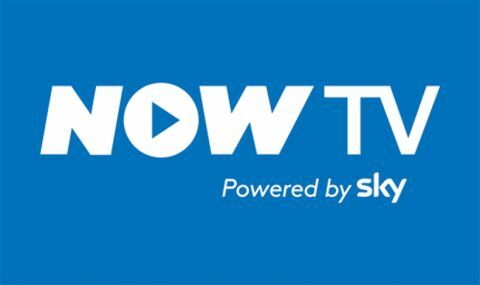 Disney's new VOD service in the states is called Disney NOW with a very similar logo to the original NOWTV logo. In fact it's so similar I initially thought it was licensed. I'm sure any similarity is purely coincidental as of course everything the US does is bigger and better and there's nothing to learn from us mere mortals across the pond. A lot of the existing TV Everywhere streaming apps use the NOW moniker. The others either use WATCH or Go in the name of their streaming apps or something else completely different. Do they all have a triangular 'play' symbol embedded in to the 'O' though? Some do, but I'm not sure any of them launched before Now TV in 2012. This isn't THE Disney streaming service though is it? That's expected to launch next year, with a rumoured moniker of 'Disney Play'. Disney Now is Disney Channel type stuff. Disney Play is the one they plan to launch next year and throw a load of money at it for about 18 months before it crashes and burns and Disney works out there's more money to be made selling content to Netflix. Nope and that wasnt the point I was making at all. I clearly said "moniker". Didnt mention anything or made any claims about them having a triangle. Sorry to disappoint ya. Later. Four years on this forum and you still persist with this off-putting attitude. Later. Sorry to disappoint ya. Later. Now, now lads. "Calm down"
None of the iOS apps have that. They all use a play logo for live stream and the xfinity app uses regular logos. Occasionally go or TVEverywhere logos are used.